I am sick of gossip. Sick to death of it. I am sick of it happening in my classroom as students talk about other students right there on the other side of the room. I am sick of it when I see their parents doing the same at church or in a school hallway. I am sick of the hurt I see in people’s eyes when they realize people are talking about them, when they realize their “friends” are not trustworthy. I am sick of the paranoia that comes when whispers are followed by cackles. I am sick of the alienation it causes, and how we act like this is acceptable behavior amongst Christians. To be genuine, I am also sick when I find in me the very same salacious desire to be “in the know” on the latest tidbit. Gossip is killing us and it needs to be stopped. I guess that is why this passage above from today’s reading struck a nerve with me. Jesus proposes that we deal with conflict the exact opposite way we normally handle it. Jesus encourages us to go quickly and privately to a brother or sister who has offended us in some specific way. Talk it out one-on-one. Don’t involve anyone else. Resolve it with “the one” and move on. If that strategy doesn’t work, invite only a “few” close friends who are a part of the conversation with the offender as well. Their presence still remains conciliatory; they are there to corroborate and help resolve, not throw fuel on the fire. Only as a last resort are large numbers of people involved. “The many” members of the assembly are called upon in the end, not for vindication but as one more attempt to forge reunion. 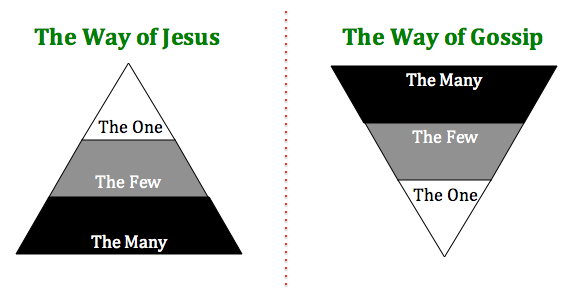 Jesus way of keeping matters private and only involving others if reconciliation cannot be reached privately seems to be opposite to the way we often do it in our social groups today, as the diagram above displays. We invert the whole process. We allow “many” people to know our business long before we ever talk to the person who has offended us. Maybe we want vindication or moral support or allies, so we tell others what has happened and they tell others and so forth. Then we pull in our “few” closest friends for “counsel,” which maybe more about getting up our nerve before we go and talk to the person who has done us wrong. This does seem like a smart move, but we still haven’t talked to “the one” and we are airing our dirty laundry for others. Last, and usually after several days or weeks have passed and far too many people have become involved, we finally go the one with whom we have an issue. But by this time so many eyes are watching, so many unkind words have been said, so much posturing and side-taking has happened that reconciliation is much, much harder. Reputations have been tarnished and perceptions have been formed. My boss and friend has a simple, non-confrontational phrase she adds into conversations when it is clear people are going down the way of gossip rather than the way of Jesus: “What did he say when you talked to him?” That is a very gracious way to correct and redirect. May we be the people who turn the triangle back on its base. What did you notice anew in today’s chapter? This chapter is maybe best known for the Transfiguration. 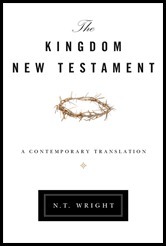 N. T. Wright does something nice here in his translation by avoiding the archaic word “transfigure” in 17:2 and he uses the more common word for the Greek word metamorpho here, “transformed.” Jesus was “transformed.” This is the same word in Romans 12:2 and 2 Corinthians 3:18, two popular verses. They were changed by words, not just an experience. We saw this back one chapter ago, too. Jesus had told the disciples to be careful of the leaven of the Pharisees and Sadducees (16:5) and they thought he was talking about bread. They had had a lot of experience with bread around that time with the two miraculous feedings, but they didn’t realize what Jesus was really talking about until he spoke an explanation to them. I am enough of a postmodernist to really appreciate experiences. I am a Bible student by training, but I want more than just words. I was right there in the late 1990s putting down J. I. Packer’s Knowing God and picking up Henry Blackaby’s Experiencing God because I wanted more than just knowledge of God. I experience God in special ways in praise and worship, in service to the poor, and in the laughter and intimacy of true fellowship with believers. This may be one of the most important questions of all time. Maybe this is the question that all people must grapple with and answer. For the Pharisees the answer was simple: Jesus was an ally of Beelzebub (12:24), even though all of the signs were there for them to know otherwise, Jesus says in today’s passage (16:3). 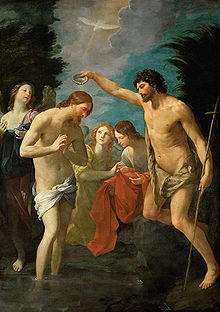 For Herod, Jesus was John the Baptist back from the dead (14:2 ;16:14). For the masses, after two miraculous feedings, Jesus was a free meal (14:13ff; 15:29ff). For some the disciples had talked to, Jesus was another great prophet like Elijah or Jeremiah (16:14). For the disciples, Jesus enigmatically pushed them past the literal (16:7-12). For Peter, Jesus was the Messiah . . . but not the right kind. Jesus was the vanquishing savior here to whip up on the Romans, not die on one of their crosses (16:16, 22). We grapple with the same question today. Ask around. Jesus is a prophet, a wise man, a great teacher, a crazed lunatic, a egomaniacal liar, a carpenter turned revolutionary, a revolutionary turned lover of Magdalene, a hippie, a homosexual, a partier, a beaten up hero in a violent bloodbath, a scapegoat for Jewish nationalism, a healer, a handsome emotionless guru, a meek milquetoast whipping boy, a misunderstood leader, a rabbi, a philosopher of love, a Republican, a Democrat, a Communist, a Capitalist, a vegetarian, a figment of Paul’s imagination, or some other permutation next week when another book, movie or YouTube video comes out. Albert Schweitzer is famous for saying that the quest to determine who exactly Jesus was, apart from the Bible, is a futile one. It is like looking down into a well; all we see is our own reflection looking back. 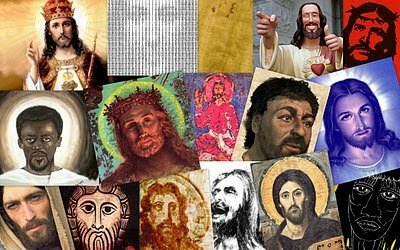 People have a tendency to mold Jesus into whatever we want him to be, and in the end he ends up looking a lot like us or at least what we would like to be. How do we fashion Jesus after our own image today? Matthew 15: What Makes One Unclean? Today’s post is more of a question than a thought. Even if you are not the kind to give a comment I would love your input on this one. Please consider. In fact, a tradition could make a person unclean if it caused them to nullify or trespass against God’s law. The Pharisees were doing exactly that with their unwillingness to honor their parents by devoting money to God needed to help their parents (15:3-6). God’s desire is for honor, not donations. So, I am wondering today what, if any, are the “traditions” we have in our churches today that miss the point and maybe even cause us to work against what God is really looking for? What are the “unwashed hands” that we get up in arms about even though these are not the things that really cause moral problems? His disciples came and took away the body [of John the Baptist] and buried it. Then they went and told Jesus. I have always been amazed by these few verses. How did Jesus do it? His cousin has just been murdered. Were Jesus and John close? Let’s imagine they were. A murderous tyrant has just rounded up his beloved cousin simply because John was the fly in Herod’s ointment of immorality. Surely Jesus was sad; his next action was to go off on his own to a deserted spot. Was Jesus also wondering if he would be next? If Herod can round up one revolutionary, couldn’t he round up another? What is clear is that the last thing Jesus wants to do right now is minister to the masses. He just wants to be on his own in prayer and mourning. But the crowds won’t allow it. They follow after him regardless, and bring their sick in need of healing. Jesus just can’t get a break. It is what Jesus did next that rocks my own selfish world: “He was sorry for them. He healed their sick.” Jesus responded with love. Then his compassion even drove him to do one of his most famous miracles: the feeding of the 5000. Five thousand men and their women and children too — likely a number well over 10,000 or 15,000 — went away that day filled, healthy, and amazed. This causes a new side to this juxtaposition of stories to jump out at me. A sad and possibly apprehensive Jesus has just found an immediate following of 5000 men. That could make quite a riot. Jesus could work this crowd against Herod. If nothing else, Jesus could find protection in the midst of such a following, but maybe he could storm a palace too. Did vengeance for John’s death ever enter Jesus’ mind? Instead, Jesus “dismissed the crowd” (14:22) and left the area. There will be no armed revolt today. Let there be no mistake: Jesus was a revolutionary, but of a different kind entirely. Jesus brought the original Love Revolution. The way of power and blood would be overcome by the way of love. The hunger that exists in any kingdom run by opportunistic leaders like Herod would be overcome for a day in a most abundant way. The self-focus of the crowds would be met with love and compassion. Love would lead to a revolution of hearts. 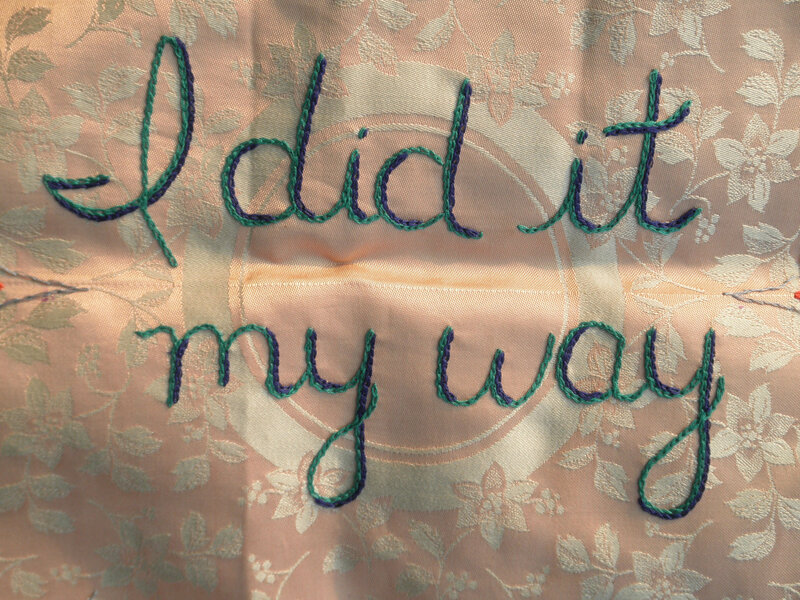 My wife has a mantra that I believe she learned from her mother. When you are sad and down, get busy helping others and you will see your own sorrows lessen. Jesus had every reason to be alone and mourn. Still, he was willing to be inconvenienced for love. I absolutely love the parables. They are most certainly my favorite form of literature in the gospels. Matthew has packed this chapter full of them. They are wonderful word pictures, for those of us who are more visual than verbal. They pack meaning for those of us who like a good symbol. They are memorable and popular. They also teach fantastic lessons about life and how to live life. 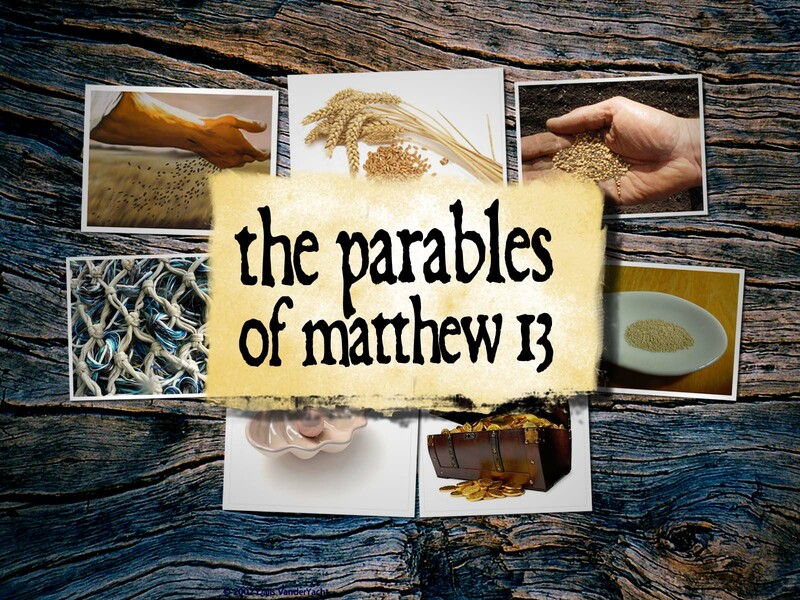 But first and foremost, parables tell us about life in God’s kingdom. Some pieces of art or music or literature are just better appreciated in their original state without much explanation. I do believe that is often true of the parables. So, today I am running the risk of ruining great art. Please forgive. 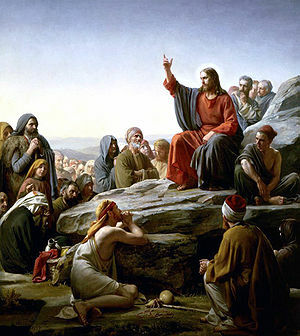 What is Jesus saying about the kingdom in these parables? The kingdom of heaven is mysterious: There is no telling when we will brush up against true Kingdom. We might be in the middle of our everyday tasks and run upon a move of God that is unlike anything we have ever seen before. We might simply be walking home, and over there in the corner of a yard under a tree, where we least expected it, will be something more valuable than anything we have. We just thought it was another hum-drum day, but this is the day that changes our life. The kingdom of heaven is valuable: In a world that often lacks any substance or value, when we find God’s Kingdom, we will do anything to have it. It is worth more than anything we presently have. We know this is something real and valuable. It might necessitate a relocation or a restructuring of our life, but we will gladly do it. There will be sacrifices, but they are small in comparison. The kingdom of heaven grows abundantly: The Kingdom usually starts in humble beginnings. We might look at it and say this won’t amount to much, but often that is exactly where God plants the seeds of His Kingdom and they grow into something that is so much bigger than what we could do ourselves. And those pursuits bring help and nourishment to others. The kingdom of heaven is messy: This isn’t going to go smoothly. God is working to advance His Kingdom in this world, but there are powers of evil and darkness that want the same soul-territory. Right alongside Kingdom will be anti-kingdom. There are people who will swallow up any seed of hope we might plant in another person. “The world’s worries and the seduction of wealth” choke our devotion like thorns and strong weeds (13:22). Purification and complete rescue won’t come until the end. Those with ears to hear and eyes to see will know where Jesus is coming from. Others won’t. For some Jesus is just too familiar. But those who do hear and see are more blessed than even the prophets of old (13:16-17). Which parable resonates most strongly with you in this reading? Why? How dare they pluck corn and eat it! That’s work! I have never noticed this last verse in this way before. The Pharisees are incensed that Jesus would disregard the Jewish laws and customs concerning the Sabbath, all the while they are making plans to murder Jesus. Yes, it seems they have missed the point. 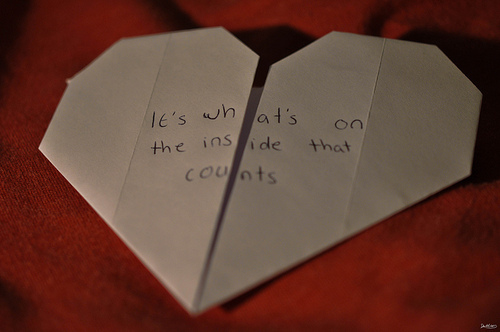 Today’s chapter really drives home the saying “it’s what’s in the heart that counts,” not the rituals of our hands. Today’s choice of passage is entirely emotional. I need to hear these words. I need to meditate on them all day long. Some days I don’t believe the way of Jesus is easier, but he says it is. Will I believe that? Some times I can think of a million other things to help me find rest, long before I go to Jesus. Will I go to him first? 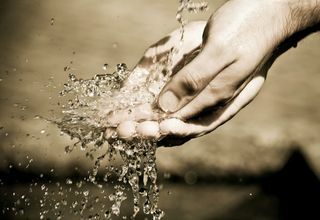 Praise God in faith that he is gentle and offers us something better and lighter and more blessed. How will we know when God’s Kingdom has come? What will it look like? As we progressively fill out our understanding of the “kingdom” Jesus was talking about, this passage is immensely helpful. Kingdom has very little to do with what takes place in a church building. Here we see that “kingdom” describes a state in which a person lives. Kingdom-life is marked by wholeness. Kingdom-life is when all is as it should be. When Kingdom arrives in a person’s life, oppression is ended, provision is present, cleanliness is restored, dead things others had given up on are brought back to life, and hope returns. Now that sounds like a kind of life to preach about! There is very little in this chapter that makes sense apart from the principle in this passage. Jesus is sending his disciples out into Judea to “the lost sheep of the house of Israel” (10:6). He warns them sternly that their mission is not an easy one. It will be subsistence living. Dangerous people will surround them. They will be dragged into court on trumped-up charges. Their work will even bring strife in their own families from those who can’t accept their new calling. God will provide for them. And there are worse things than suffering physically for the Kingdom. But if the crowds can’t all accept Jesus, why do they think the crowds will accept them, his servants? 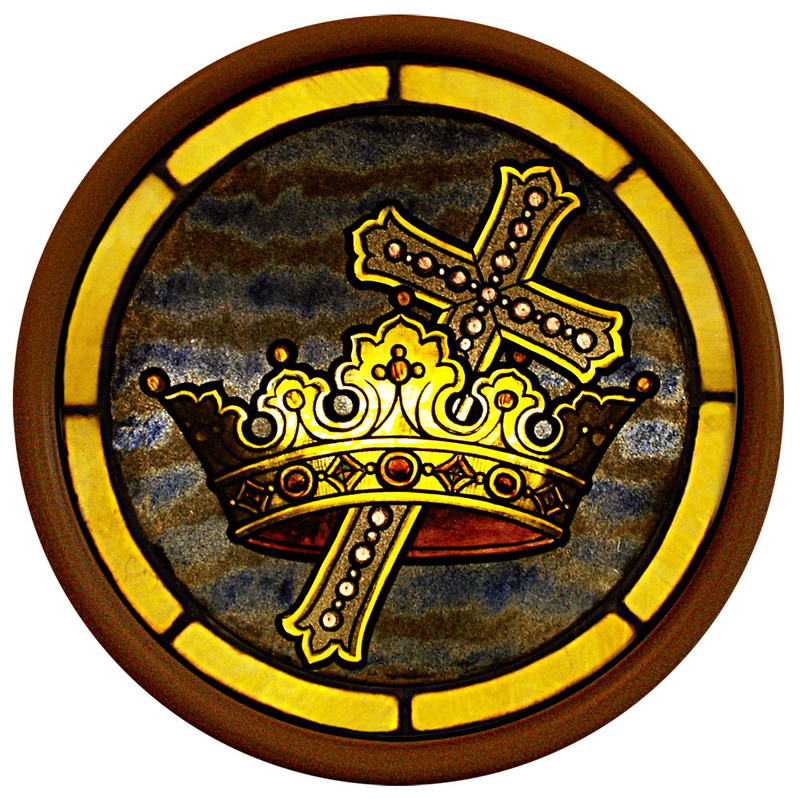 Jesus wears the crown of his kingdom today. But first he had to take up his cross at Calvary. We his disciples will have to do the same. What crosses must we take up today? 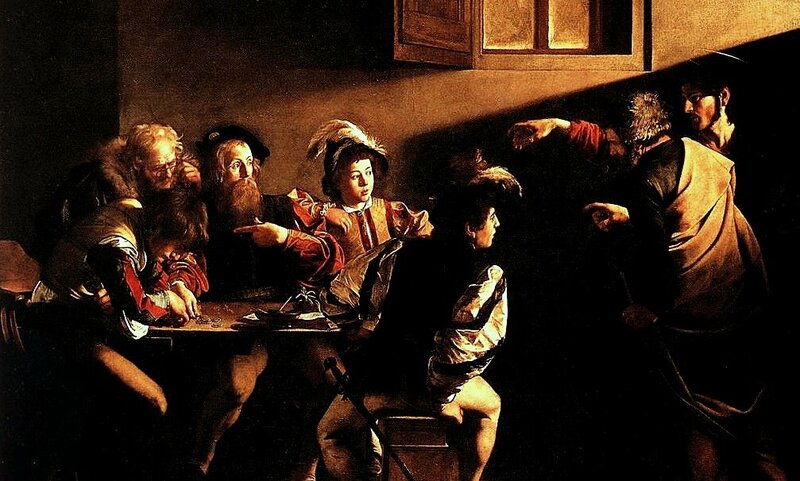 Caravaggio, "The Calling of St. Matthew"
As Jesus was walking along, he saw a man called Matthew sitting in the tax-office. “Follow me!” he said to him. And he rose up and followed him. Matthew wasn’t exactly the ideal candidate for a disciple to an itinerant Jewish rabbi. He would have been a Jew, but many would have labeled him a traitor. As a tax collector he was working for the enemy, the Romans. Good Jews wanted out from under the Roman thumb, and Matthew was only perpetuating foreign tyranny. Not to mention the assumption that Matthew was likely skimming a bit of the tax money off the top for himself, just like every other tax collector did. So just the fact that Jesus would call Matthew to be a disciple was unexpected. It is what Matthew did next that struck me today. Matthew is leaving his life as a tax collector. 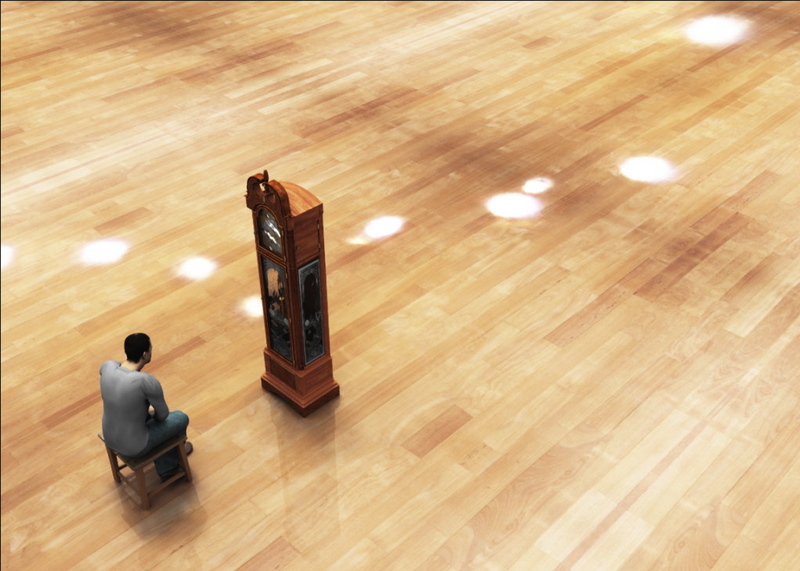 He is about to start a very different kind of life, dissimilar in ways he probably doesn’t even realize. Still, he calls his friends to his house for one last party. We can tell from verse 11 that this group of friends was composed of fellow tax collectors and other unsavory people. Yes, Matthew is leaving his profession and even this town. But he doesn’t just drop everything. He is starting a new life, but he chooses to include his friends in this new life too. It seems he wants his old friends to meet his new rabbi. Did some of these friends become disciples too? Did they come along with Jesus and Matthew? 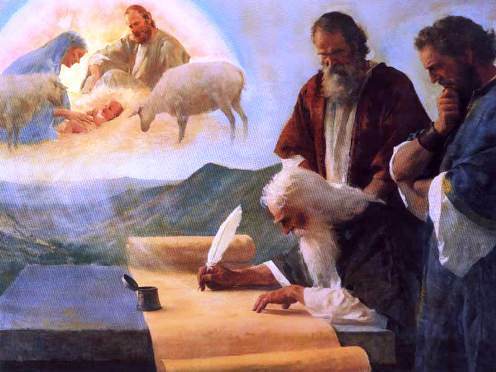 We don’t know, but we do known that Matthew’s first act of witnessing was to his very own friends. He wanted his friends to know Jesus too. What struck you in this active chapter? Matthew 8: Amazing-Faith or Little-Faith? Some times I have to remind myself how I probably would have been cast in the story of Jesus’ life had I been there at the time. Matthew marches a fast parade of characters past us in this chapter. A man with a skin disease that would have made him unclean. A powerful Roman centurion. An infirmed mother-in-law. Handfuls of demon-possessed and sick people. Two demon-possessed Gentiles from the “other side of the tracks lake” who terrorized their town. A bunch of dirty pig-farmers. But there are also three other characters. A scribe — a religious functionary who labored with holy words all day long. A group of disciples (maybe the apostles) who stick close to Jesus, even running to him in a storm. The religious don’t come off looking so good in this chapter. I was born to religious parents. I have been in a church most Sundays of my life. My family went to church every time the doors were open, and other times too to take care of church matters. My father was an elder. My mother a president of a woman’s auxiliary for a Christian school. I went to Christian camp. I graduated from a Christian high school. I have two degrees from Christian colleges. I work for a Christian high school. I am a deacon in a large church. I teach adult Sunday school. I read Christian books and listen to Christian music. My wonderful Christian wife and I named both of our kids biblical names. My blogs are religious. And if I had enough guts to get a tattoo, it would be a cross. But do I have any faith? What did you notice as you read this chapter? There is just too much “doing” in this chapter for this sermon to be nothing more than pie-in-the-sky idealism. The word “do” (or “don’t,” “does,” “doesn’t,” “didn’t”) occurs 15 times in this one chapter. Jesus encourages his audience to “ask,” “seek,” and “knock” (7:7), all very active verbs. Jesus summarizes all that the Law and Prophets were teaching using the very active Golden Rule: “So whatever you want people to do to you, do just that to them” (7:12). The calling card of genuine Christians is “the fruit they bear” or “produce” (7:16-19; “produce” is used 5 times in 3 verses). Clearly, the Kingdom will come into existence by doing. Granted, the Kingdom is not of our doing, as if it is the work of our hands. But we are disregarding the activity in Matthew 7 if we think God will bring His Kingdom while we sit back passively waiting. Don’t get me wrong. I am no legalist who glories in my good works. People who sit in my classes hopefully will tell you that is not the focus on my teaching. People who know me the best will also tell you I don’t have enough good works to glory in! We don’t “do” in order to get; we “do” because of what we’ve got. But the world needs more than a Church that offers cheap grace that neither changes anything within us nor demands anything from us. This world needs wise builders who hear and do. The skeptical around us need to investigate the vines of our lives and find abundant fruit. They need people who have actually found the gate that leads through the “tight squeeze” (7:14) to the narrow path and have turned around to show others the way. A rhetorical question (if you wish): who in your life needs you to “do” this Sermon? If the Sermon on the Mount is Jesus’ manifesto about this new kingdom he is bringing, what is truly important in this new way of seeing life? Jesus answers that question with as many explanations of what is not important as he does the affirmative. The praise of your fellow man is not top priority. Do your religious acts like tithing, prayer and fasting but if you are doing those to get praise from your neighbors and friends you have missed the point. That momentary praise is all you will get. Kingdom-people seek the praise of the Father who sees what is done without fan-fare or the spotlight (6:1-18). The treasures of this earth are not top priority. Nice clothes get moth-eaten. Piles of coins get rusty. Houses fall apart. Cars get dented. Jewelry gets stolen. Investment portfolios crash. Educational degrees become out-of-date. Power and status are lost. Beauty fades. All these treasures broadcast to the world what is truly valuable to us, and this may not be complimentary. Kingdom-people store up treasures in heaven. These will never fade away, lose value or be lost. And don’t tell yourself you can actually have them both; you can’t (6:19-24). 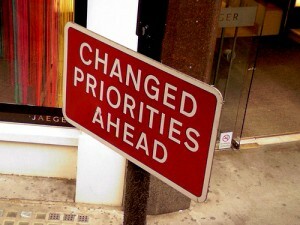 The needs of this world are not top priority either. Food, drink and clothing might be at the top of Abraham Maslow’s “hierarchy of needs,” and we do need these, but we don’t get them by seeking after them. God knows what we need and he will provide. The worry that comes from a preoccupation with these physical needs will only detract from our occupation of advancing the Kingdom. Kingdom people focus with faith on the needs of the world to come (6:25-34). There are some chapters that are just daunting to write about; the next three are some of those. What can be said about the Sermon on the Mount that has not already been said and said better or is really worth saying? Like James, these are chapters that will meet us where we are, somewhere different each time we read them. Do share how God speaks to you this time around. 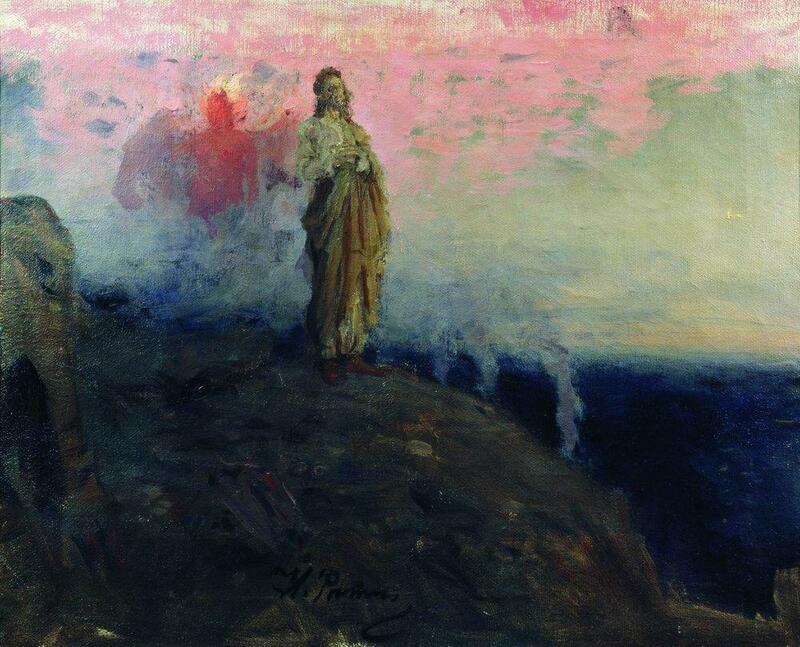 There are many different theories on what exactly Jesus was trying to do in the Sermon on the Mount. Was he, the new Moses, giving a new law on a new mountain? Was he setting out the moral code of the Church? Was he giving the “impossible dream,” a perfectionistic dare that only punctuates how God’s Kingdom is only attainable by the power of God? Or something else? 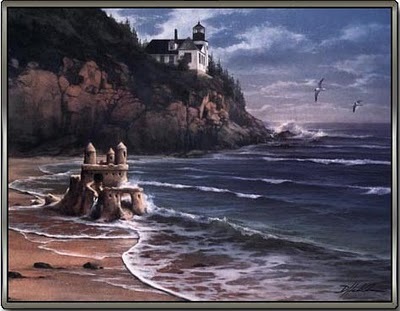 But why does the sermon end with the declaration that we are as “foolish” as a man who builds a house on a sandy seashore if we do not do what has been said in this sermon (7:24-27)? I would like to advance a different idea, one that is certainly not my own and has been gathered from many different places, none of which I remember off hand. The Sermon on the Mount is a picture of life when you come into the Kingdom and when the Kingdom comes into you. Partly idealistic but also partly practical and doable, this snapshot of Kingdom-life was Jesus’ invitation to a whole new way of life, here and now, a worldview (beliefs and actions) that if accepted would revolutionize the follower and those in his sphere of influence. 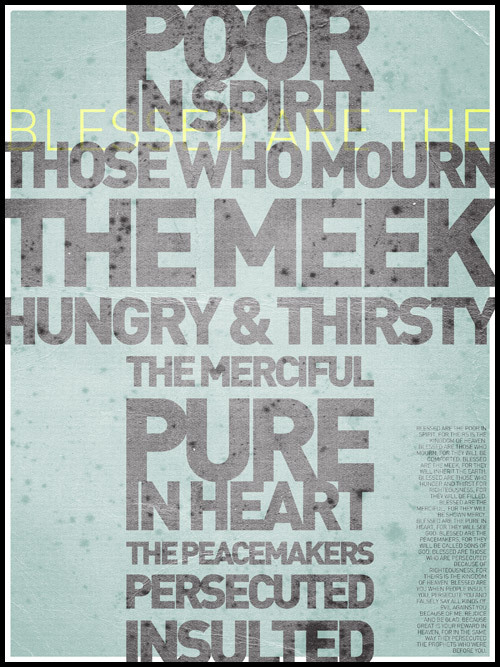 With this idea in mind, consider the Beatitudes (5:3-10). Eight character traits or positions in life are put forward as “blessed” or fortune or happy — humility, the need to mourn, meekness, longing for divine justice, merciful, purity, peaceableness, and persecution. Most of us would look at this list and say there is little blessing or happiness in most of these. But these are exactly the kinds of people who will find God’s Kingdom to be an answered prayer. These sorts of people will find what our present world’s system cannot or does not afford. These marginalized, downtrodden, and sad people will find this new way of life that Jesus is bringing to be truly blessed. These are the kinds of people who need a new system and they will find it if they will truly follow Jesus. On the other hand, there are others who at the exact same time cannot embrace this way of life as anything other than a curse. As an interpretive key that this is a plausible reading of the Beatitudes, I appeal to the “inclusio” or enveloping structure of the Beatitudes: both the first and last Beatitudes mention the “kingdom of heaven.” In other words, all the falls between is the blessed Kingdom-life. Jesus has come as a restorationist. He is the rabbi who does not wish to start a new religion, rather has come to return God’s people to what they were called to in the beginning. Jesus is not saying to ignore the Old Testament laws not to murder, commit adultery, divorce, swear falsely, reattribute justice fairly, or love your neighbor. Kingdom people respect and keep God’s law (5:19). Instead, Jesus is attacking the reductionistic legalism of the Judaism all around him that settled for the letter of the law and ignored the underlying attitudes that cause sin in the first place. In so doing, he was in fact calling Kingdom-people to a “covenant behavior [that] is far superior to that of the scribes and Pharisees” (5:20). Life in the blessed Kingdom is obedient life, but of a deeper kind than had become the norm in the world — even the religious world — around them. Matthew 5 is a majestic start to a truly magnificent sermon! Matthew then summarizes the message Jesus preached in the synagogues of Galilee as “the good news of the kingdom” (4:23). We are still trying to determine what exactly this “kingdom” is but one thing we can know for sure is that Jesus is central to it. As Jesus comes, so too does the kingdom. Maybe at this point we can tentatively say that the kingdom is what one experiences when Jesus comes into one’s life. “This is my son” — I claim you. You are mine. You belong to me, and I am glad to make that known. “My beloved one” — I love you. I have deep affection and concern for you. My emotions about you are positive. “I am delighted with him” — I am proud of you. I approve of you. I see what you do and it makes me happy. It is interesting to me that Satan decides to attack Jesus at this most basic level: “If you really are God’s son . . .” (4:3, 6). It is as if Satan is saying, “I know what you just heard, but are you sure?” Maybe you need to test this. Let’s put this to a test. Make some bread. Take a jump. How often are our doubts and failures attached at a deep, even unconscious level to an uncertainty of divine acceptance, love and belonging? Jesus’ path to victory is also instructive. In the midst of this attack intended to produce doubt, Jesus hangs on to God’s words. For Jesus the answer to the doubt and accusations of Satan was found in what God had already said. 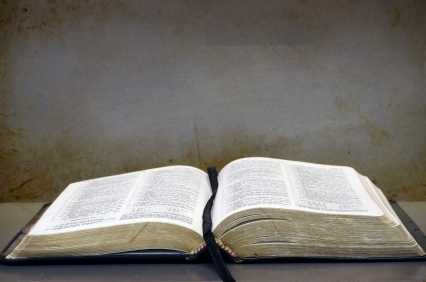 We can learn from Jesus’ commitment to Scripture. What grabbed your eye in this chapter? I hope your Easter was a truly blessed one! I spent much of the weekend in solitude and with family (in part, because I was sick on Sunday), but it was a very good weekend of reminders of frailty and new life. I did spend time with Henri Nouwen, one of my favorites especially on Easter. If you would like to read my Easter mediations click here to go to my personal blog. We have just made a huge jump in time in Matthew 3. Kids have grown up to be adults. The time for ministry has come. John’s first words introduce us to what will be a major theme in Matthew, actually the biggest idea Jesus and his followers ever talked about. What is this kingdom? It is coming here? When? One’s understanding of the Gospels is sadly deficient if one does not come to understand what the “kingdom” is. Today is a truly somber day, yet “good” nonetheless because of what it means and what comes on Sunday. It is an interesting juxtaposition to be reading about the birth of Christ on the day we remember his death. Though, I wonder if death didn’t remain in the back of Jesus’ mind everyday of his earthly life. Praise God for his faithfulness! Scholars opine that each of the gospels was probably written to a specific audience, just like the letters were. Many experts see much in Matthew to suggest that it was intend for a Jewish audience. The emphasis on fulfilled Jewish prophecy about the Messiah is a key piece of evidence for a Jewish background. Regardless of theory, this chapter reminds us that Jesus didn’t come out of nowhere as a self-styled Messiah. He is the one talked about long ago. He isn’t “new” as much as he is “very old.” Jesus was no after-thought. He is the long-desired one. And he is here. Now. 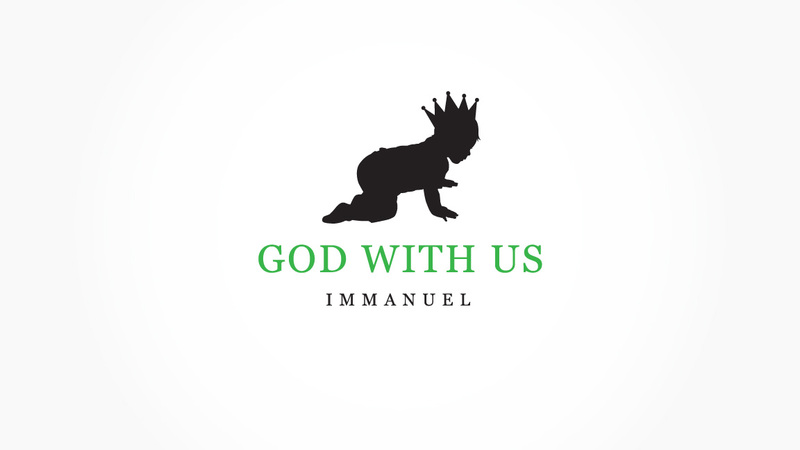 God with us. What struck you about this chapter? Today we return to the life of Jesus. Jesus is the center of our religion and very life, so it is fitting to return to the gospels every quarter. In fact, that would be a great rhythm for life long after this year. As a former student of Chris Dahlberg’s likes to say, as we age maybe it becomes second nature to concentrate on the red words. Matthew starts his gospel very differently from Mark. Mark got right down to business; from beginning to end of his gospel Jesus was a very active adult. Matthew, though, spends two chapters just getting Jesus to adulthood and ministry. There is very little action in Matthew 1 at all. Mark chose to keep us guessing about Jesus throughout much of his book. Like his disciples in the gospel, we really had to work to get that Jesus was divine. From the beginning we are introduced to Jesus as God Himself, come to be with us once again. Remember that if a person were reading the Bible page by page, they have just flipped from Malachi, over 400 years of divine silence where God’s presence was much more hidden. That is no longer the case. God is with us again, but in a new, strange, embodied way. God has come in the form of Jesus to save us from our greatest oppressor of all: sin. Already, in the first chapter Matthew has made it clear what kind of Savior this Jesus is too. We are off to a very straightforward beginning. What did you notice in this chapter that you had not noticed before?